The stability and support of knee straps can help prevent and relieve pain. These patella straps are designed to provide compression on the patellar tendon so you can move comfortably while it works to keep the knee joint in place. 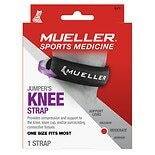 Knee straps and supports from brands Mueller, FLA Orthopedics and McDavid can also be used to help prevent injury or strain. 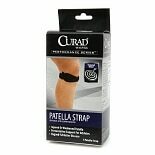 Most knee straps have adjustable closures that allow you to secure it comfortably below your knee. They can also be used on either the right or left knee. 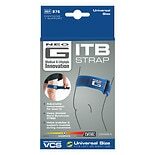 Another type of knee strap goes above the knee as well as below to also help align your quadriceps. These knee bands may help runners, jumpers and other athletes to avoid some of the common long-term knee problems. 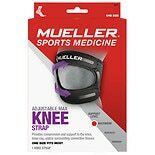 Other types of knee stabilizers are also here at Walgreens.com. You can find hinged knee braces that offer rigid support, as well as other knee braces in a variety of sizes and materials. Thigh braces can help heal and relieve pain from muscle or hamstring strains. For your fitness needs, browse the sports and fitness section of our health and well-being department. You can stock up on sports nutrition supplies, workout accessories and other fitness equipment.